This Weight Watchers Buffalo Chicken Dip is full of protein and makes a great snack, lunch, or dinner! It’s perfect for Weight Watchers meal prep and can be eaten on top of a salad, with veggies as a dip, or by itself–hot or cold! 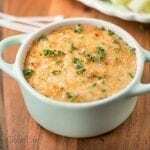 Weight Watchers Freestyle buffalo chicken dip is an easy to freeze recipe. I don’t know about you, but I love dip recipes. They’re the perfect combination of snack and meal. Recipes like this awesome Weight Watchers Freestyle buffalo chicken dip makes for the perfect appetizer for parties, events, or watching football on a Sunday afternoon. Another great way I use this recipe is for sporting events and busy weeknights. It’s quick and easy to whip up and everyone loves it (added bonus is that they don’t know they’re eating a lighter and more healthy version) so I get to feel good about what they’re eating and they enjoy an indulgent snack. 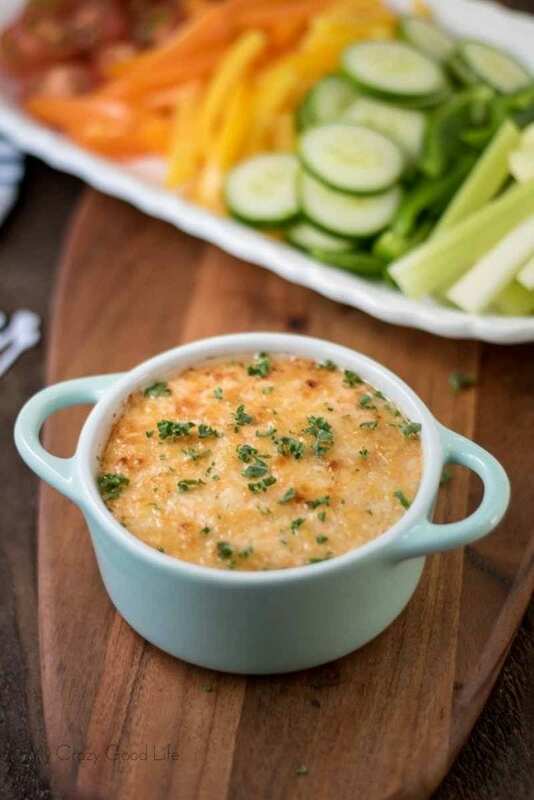 You’ll love that this Weight Watchers Freestyle buffalo chicken dip is both creamy and spicy. 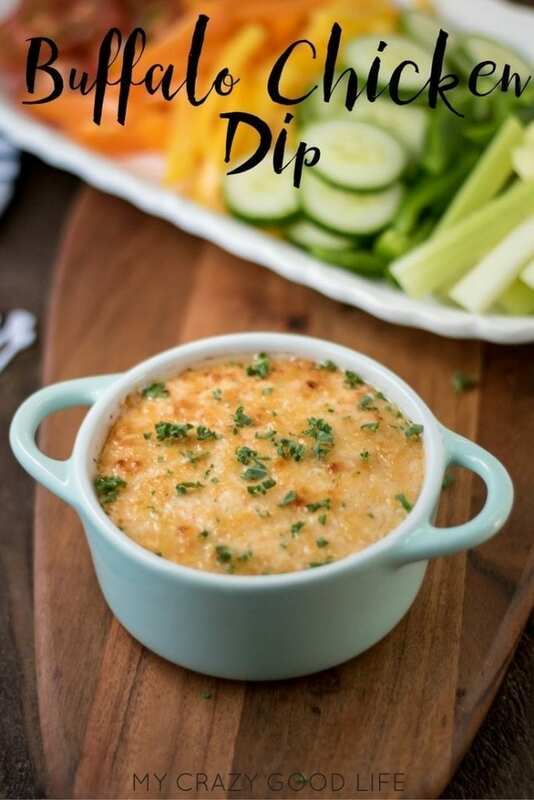 It’s got the perfect amount of kick and goes great with crisp veggies for dipping or you can use crackers, just be sure to count your points for those. 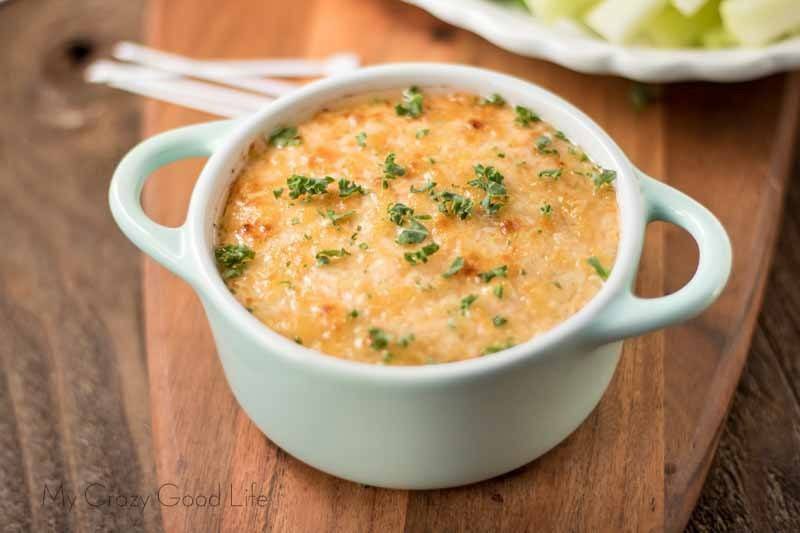 What should I serve with this Weight Watchers Buffalo Chicken Dip? 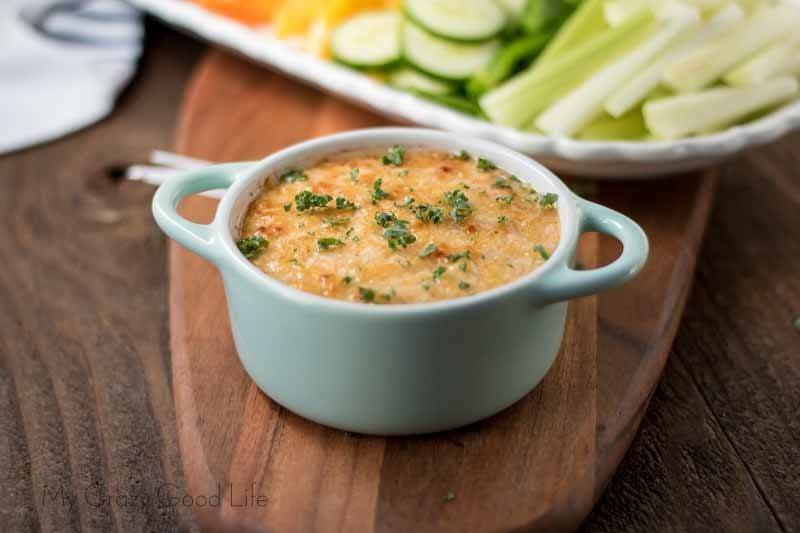 When I make buffalo chicken dip I serve it with a variety of veggies that are cut to perfectly suit as dipping companions. Using veggies instead of chips or crackers saves on those extra calories and Smart Points! With the new Freestyle program on Weight Watchers we can have most of these veggies for zero points, so that means you can have some extra dip with those points you are saving on crackers or chips! I think the veggies really help to cool off the spiciness of the buffalo chicken dip as well. You can use whatever vegetables you and your family enjoy or cut up a variety so everyone can try something new! Dehydrated veggie chips would probably work pretty well for this dish as well. They would add an extra crunch if you find yourself missing the crispness of crackers or chips! What is in your healthy buffalo chicken dip? I like making my own healthy buffalo chicken dip so that I can see exactly what is going into it; calculating points is much easier when I can control the ingredients! 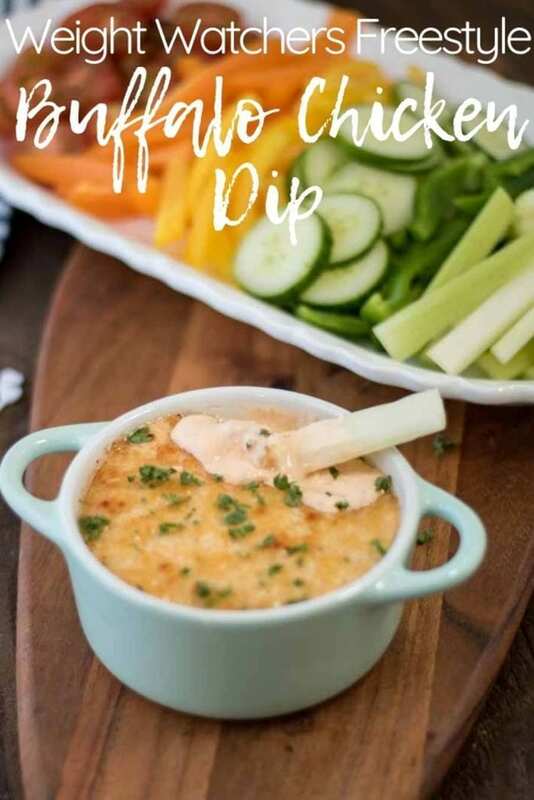 If you’re looking for a 21 Day Fix Buffalo Chicken Dip, or just a healthier version without cream cheese, you’ll want to try this amazing recipe right here. How do I make this Weight Watchers buffalo chicken dip? This recipe for buffalo chicken dip could not be easier! It’s also really easy to convert to the Crockpot if you are traveling! Mix all the ingredients together and pour in prepared dish. Bake in a preheated (350 F) oven for about 35 minutes, or until cheese layer begins to brown. Serve with a selection of veggies. OR stick the ingredients in a crock pot on high for 45 minutes. I like to use this one because it’s perfect for dip sized recipes and travels well! Are you looking for more delicious Weight Watchers Freestyle Recipes? You are in luck! I have a bunch of really great Weight Watchers Freestyle recipes that I’ve been dying to share with you! Check some of these out and let me know which ones are your favorite! All of these would be great alongside this Weight Watches buffalo chicken dip for a party or holiday grazing table! What are your favorite dip recipes? Do you try and lighten them up by serving with veggies or do you go with the tried and true chips or crackers? Make sure to try out the Spicy Mexican Corn Dip! How many Freestyle Smart Points are in this buffalo chicken dip? How did you figure out the Freestyle Smart Points for this recipe? I always use the Weight Watchers online recipe creator to figure out how many Freestyle Smart Points are in the recipes that I share with you here. If you change the ingredients even slightly it can make a big difference in the points. Be sure to recalculate for yourself when you recreate the recipe at home if you have any doubts or questions about the points. Can I lower the Freestyle Smart Points on this healthy buffalo chicken dip even more? Use fat free Greek yogurt which is zero points. Substitute Kraft fat free mozzarella which is 1 point. Use fat free cream cheese which is 1 point. Leave out the ranch dressing or use a fat free version. 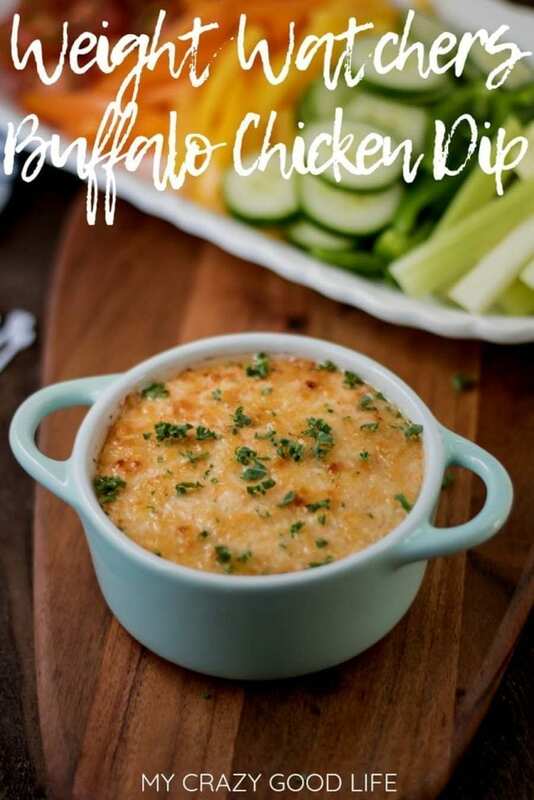 I’ve not made those modifications myself but if I was trying to get close to a “free” version of this Weight Watchers buffalo chicken dip those are the changes I would make. It brings you down to just 2 Freestyle Smart Points per batch or three if you use light cream cheese instead of fat free (sometimes fat free cream cheese has a funky texture). Your chicken and the hot sauce should be free no matter what so those ingredients would be good to add a bit more if you are looking to bulk up the recipe to make more servings / lower the points per serving. Again, make sure you are willing to end up with a dud if you are making those changes. I haven’t tired them myself but that’s where I would start if you are unhappy with the 3 Freestyle Smart Points per serving that come with this recipe!! This recipe is 3 Weight Watchers Freestyle Smart Points per serving! The recipe makes approximately 8 1/2 cup servings. What is the serving size? You have the points value, but I don’t see how big of a serving that is.